Bishop Vincent Long OFM Conv with students at the Annual CCD Mass. Image: Diocese of Parramatta. 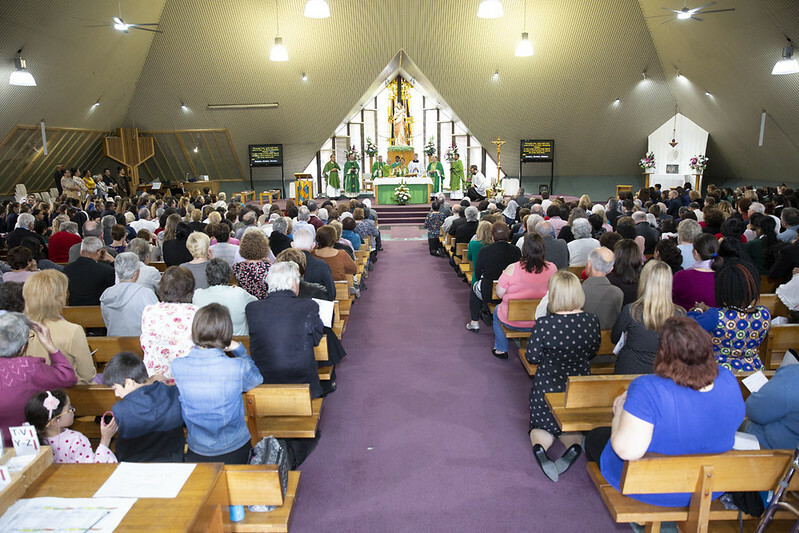 Each year hundreds of Special Religious Education teachers (SREs/catechists) gather for the Annual Diocesan Confraternity of Christian Doctrine (CCD) Mass and Awards Ceremony. This year Good Shepherd Parish Plumpton hosted the Mass on Friday September 7. It was a great celebration of this ministry when over 400 SREs from across the Diocese joined the 300 student SREs from Catholic schools to give thanks for the many blessings received, and to pray for our students in public schools and their families. The photos below are evidence of the joy on that day. If you are interested in finding out more about becoming a catechist visit parracatholic.org/ccd-home or call 02 8838 3486.